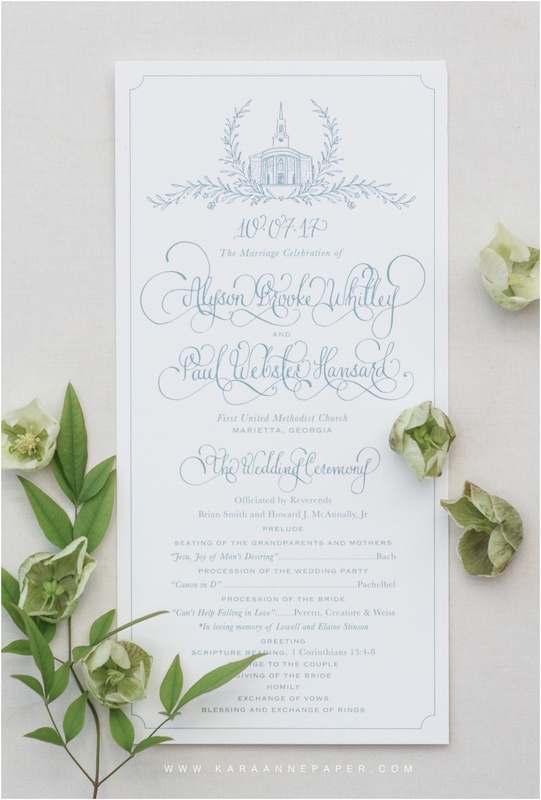 I loved creating all of the special paper details for Alyson and Paul! 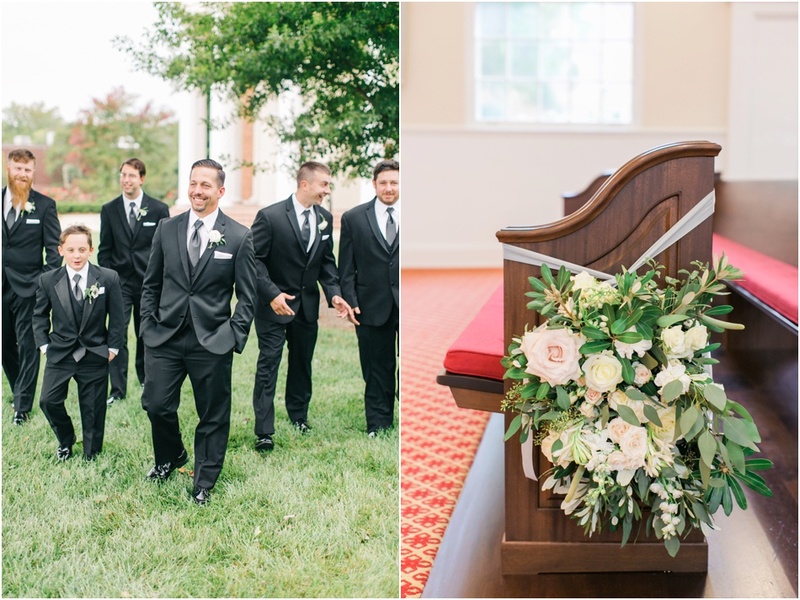 Collaborating with Alyson, her mother Cindy and wedding planner Eva Clark flowed seamlessly. 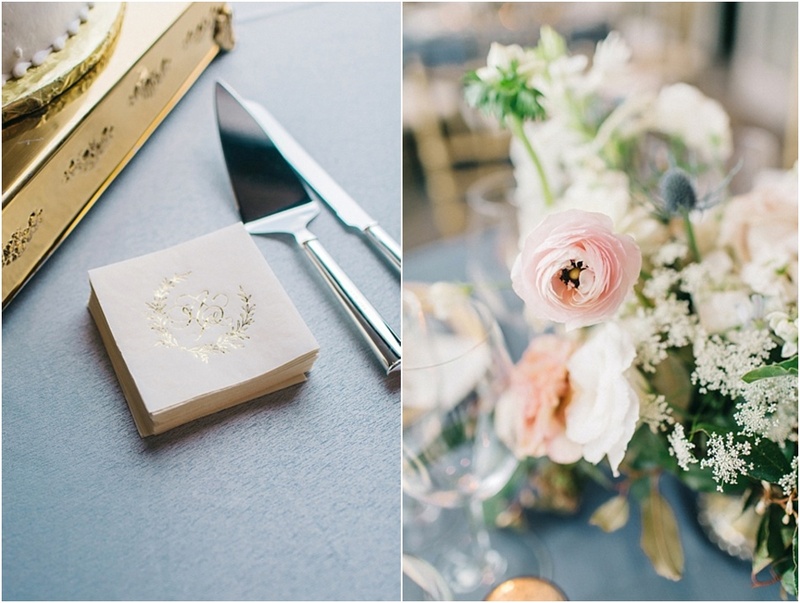 The overall vision for her paper items was a classic, elegant and chic suite with a few little unique touches to give a true custom feel. 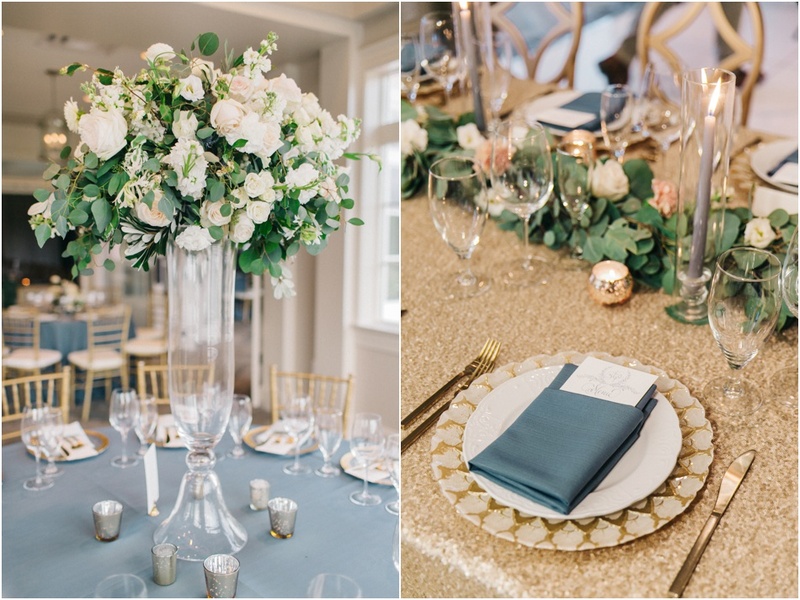 Their calligraphy names flowed across the invitation in the prettiest shiny gold foil paired with a steel blue letterpress ink to match the shade of blue used through the wedding details. Included with the invitation was an rsvp card/envelope, a reception insert card as well as my all time favorite, the hand illustrated wedding map. 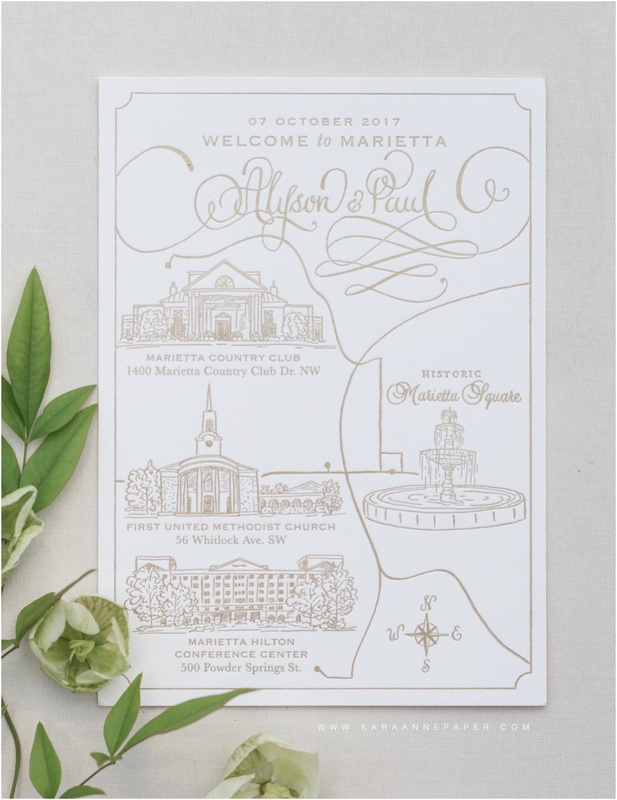 The map showcased the ceremony venue, reception venue, the recommended hotel for out of town guests and of course the fountain to represent the Marietta Square. Including this map with the wedding suite was not only special because it was where the wedding took place, but it is also where the Bride herself grew up and had many many memories! 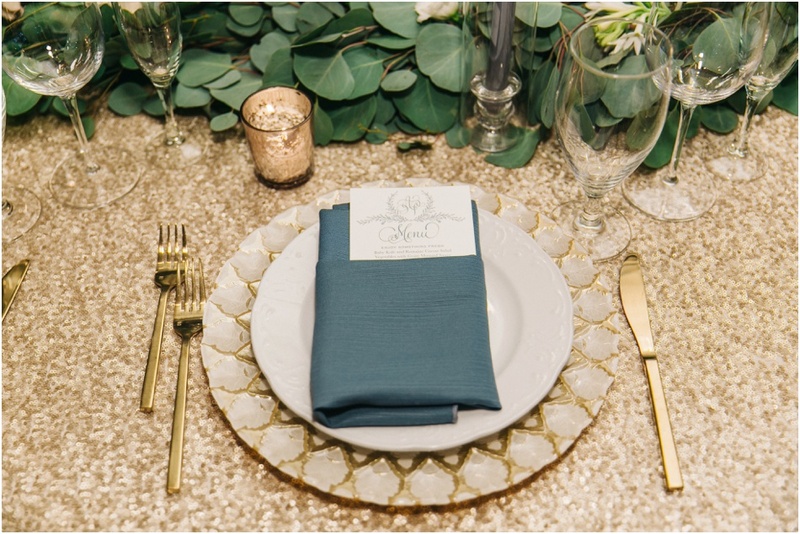 For the final touch, we loved the calligraphy monogram so much we created custom wax seals and assembled them on a gorgeous die cut shimmer pearl paper and tied the suite together with the perfect shade of blue silk ribbon. 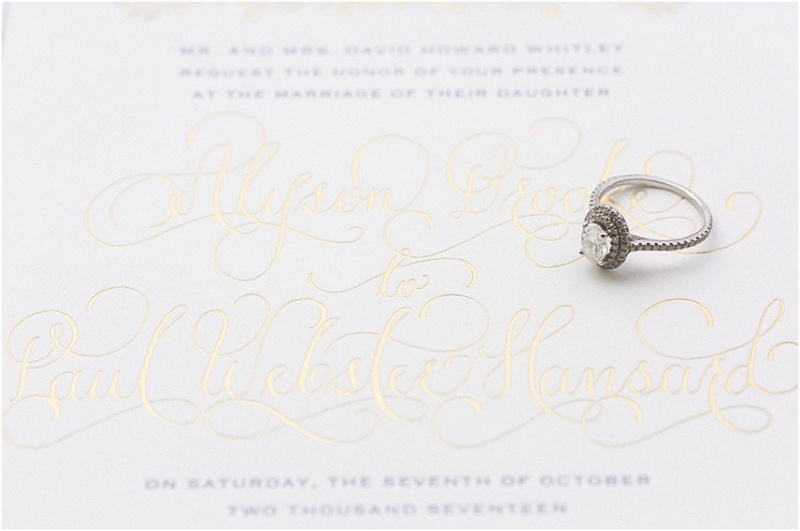 The shimmer paper matched the inner envelope that also had their gold foil monogram and wedding date on the custom die cut flap. 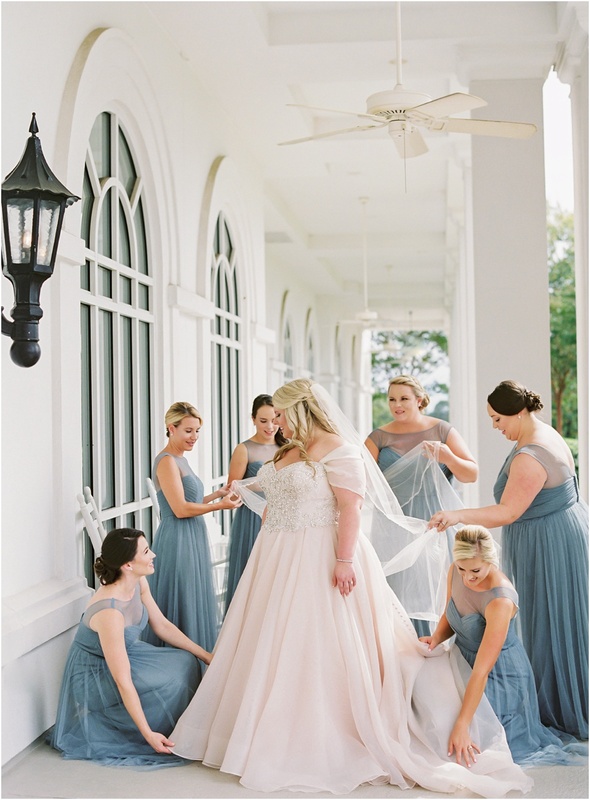 What a gorgeous, memorable gift it was for all of their guests to receive!